This is the first official post in Blogtober! I aim to do a blog each day for the whole month, so stay tuned! I can't believe September is over already, Autumn is really upon us and we're seeing the last of the sunshine! This month I have not been wearing quite as much make up. I have been trying to give my skin a bit of a break. So with that, lets get straight into this month's favourites! There has been one lipstick that has barely left my side and that's the Bourjois Shine Edition (shade #24). Not only is it in my favourite colour, the pigmentation is beautiful and it feels so moisturising on the lips, which is perfect for this time of year. It comes out a little darker on the lips than is shown here, but it eliminates the need for a gloss. 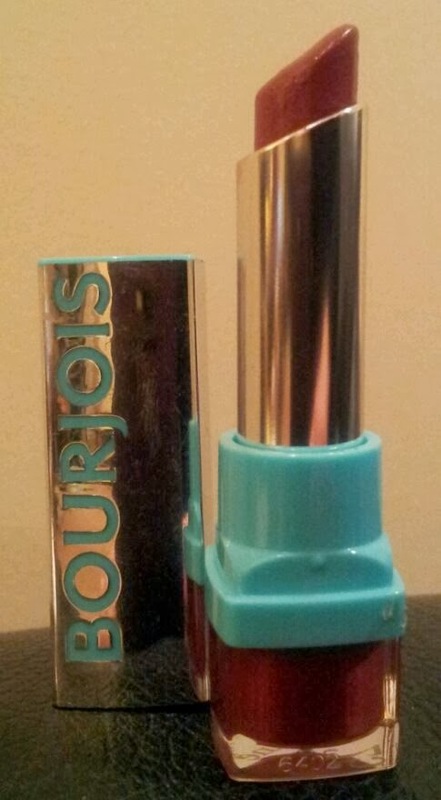 Another handbag essential this month has been yet another Bourjois product, their Healthy Mix Serum foundation (shade 51). I mentioned this in a blog about a light summer foundation. It is a low coverage and excellent for everyday wear (especially when you have dry skin like me). It only takes some bronzer, blush and lipstick to instantly turn a day look into night. It gives you that you-at-your-best look without looking too much like you are wearing foundation. Another favourite this month has been a nail varnish. During the week I like to wear nail varnish, while making it seem like I'm not wearing any (due to working in an office, I can't wander around in all the bright colours I love). 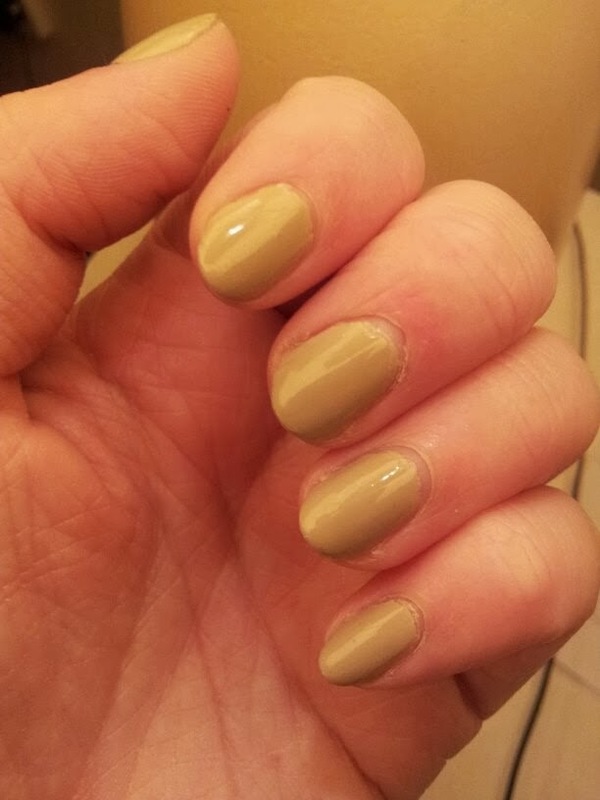 As a result I have been loving this shade (threadbare) from Topshop. It's neutral enough not to draw any attention, but I still get to wear polish midweek! I have recently acquired yet another Real Techniques brush, this is their Blush brush. I just love the shape, size and feel of this brush. 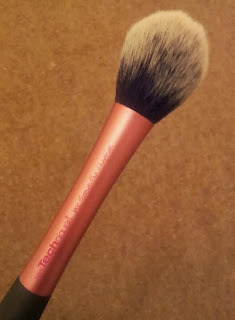 I can't see me going back to any other brush I've previously used for blusher. Real Techniques have converted me (yet again)! So what have you been loving for the month of September? Threadbare looks quite like a Butter London polish that I have. It's a great shade for during the week - very work appropriate!